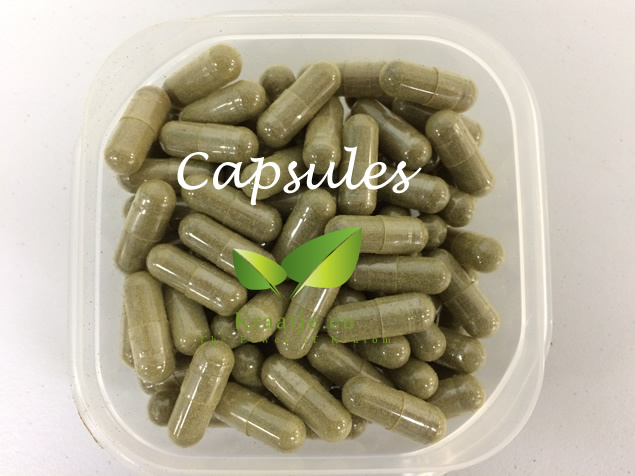 Buy Kratom here: next day delivery to the UK, Europe (EU) and USA. Fast Kratom delivery from our always fresh Kratom stock. Powder: 50 grams is maximum for letter post (above 50 grams always via DHL). 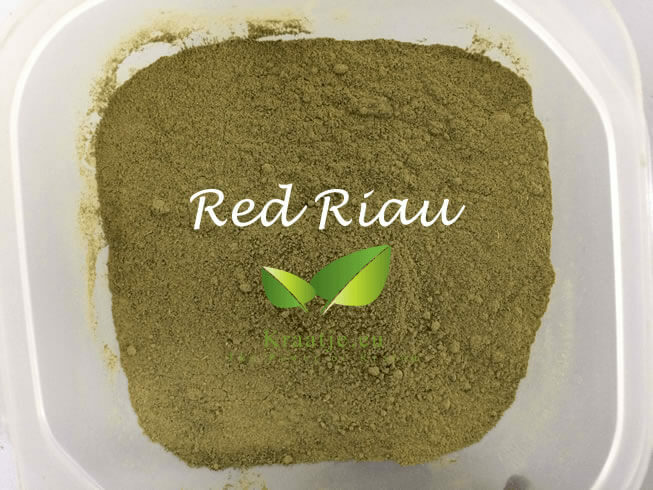 The famous red Thai Kratom (Red Thai) from mature Thai Kratom trees. 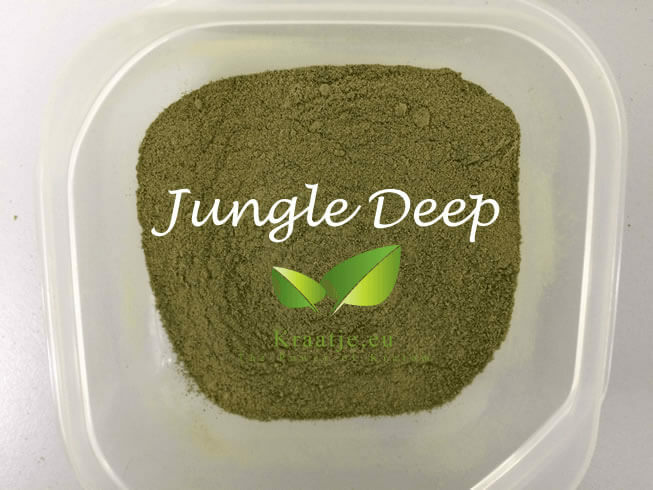 A very good Kratom enjoyed by many. 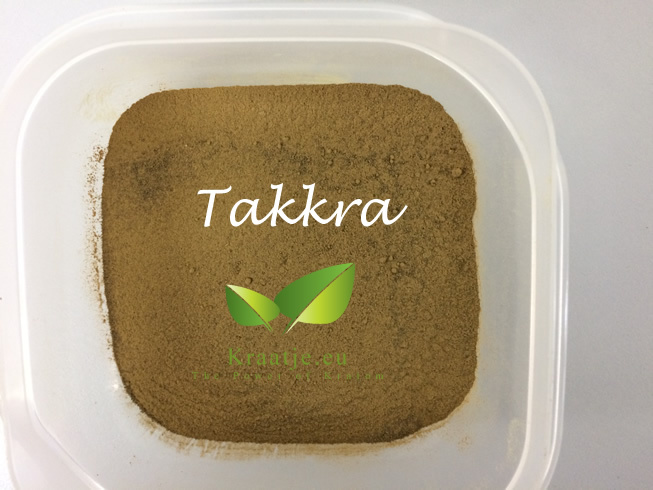 Thai Kratom is rare in Thailand. In 1943 the use and cultivation of Kratom was prohibited in Thailand. These trees have since been planted in other regions. 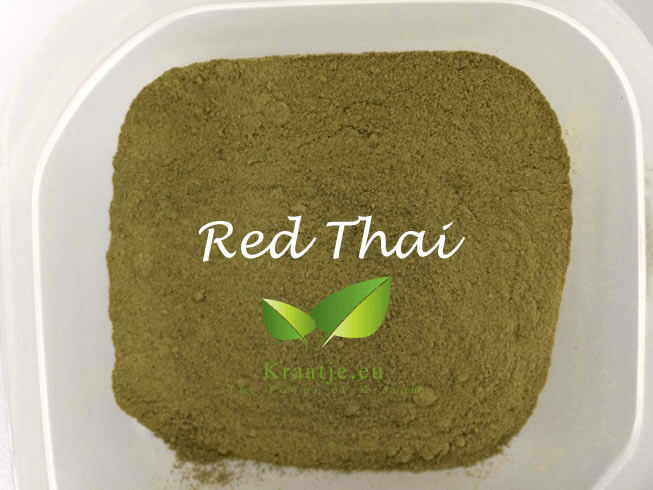 So no fancy names like Thai commercial, Thai premium, super Thai, Thai pimp Kratom , but just high quality Thai Kratom. 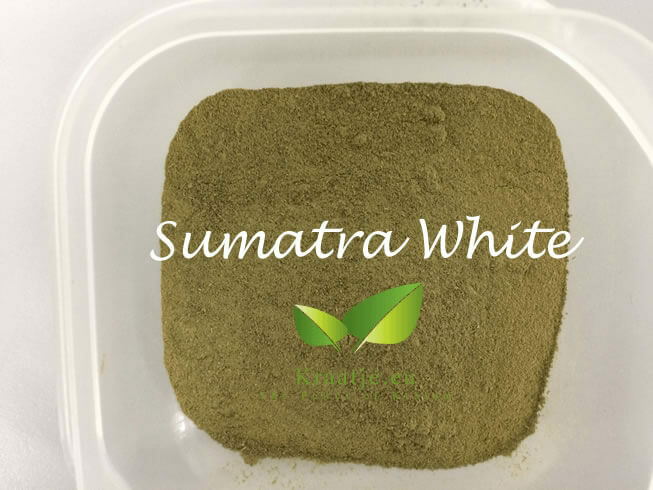 This Kratom (White Sumatra) has a very energizing and relaxing effect. 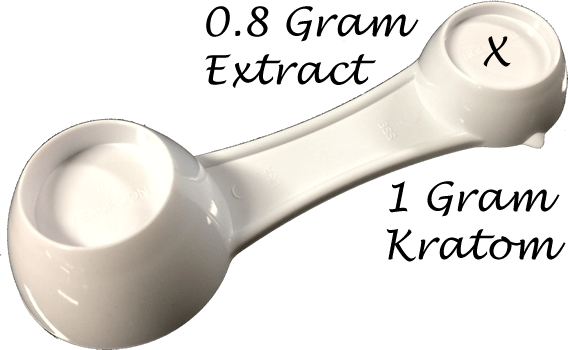 White Kratoms give a more energizing feeling than the Red Kratoms. 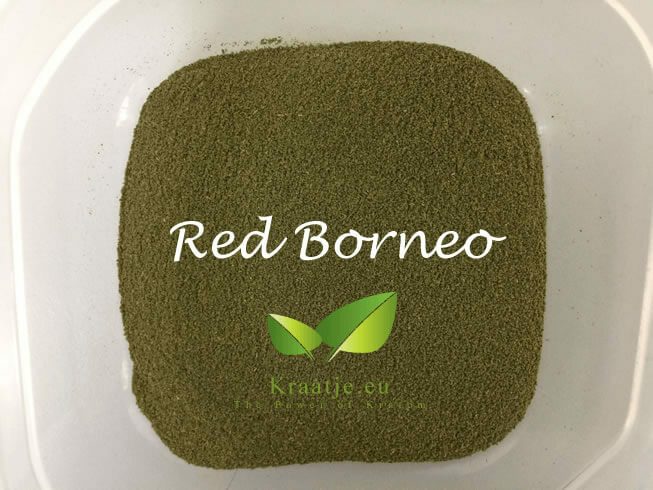 This makes a good choice if the Red Kratoms (Borneo or Sumatra) are for making you feel relaxed, or if you want to stay more awake. Duration: starts after 15-20 minutes, lasts for 3-5 hours. 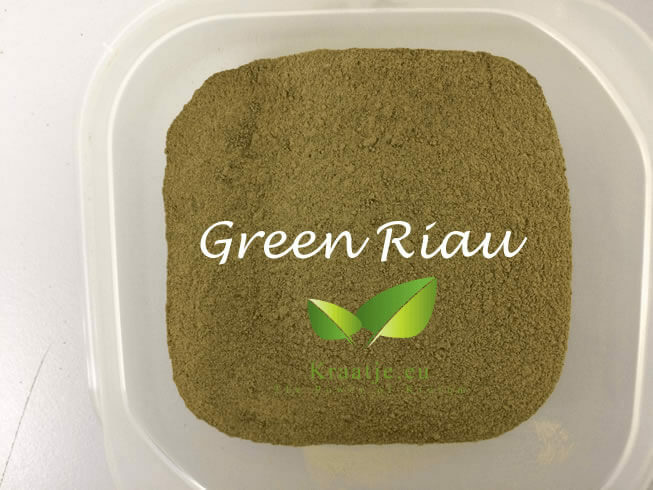 Very mellow and relaxing Kratom (if you like Borneo you'll like this one as well). 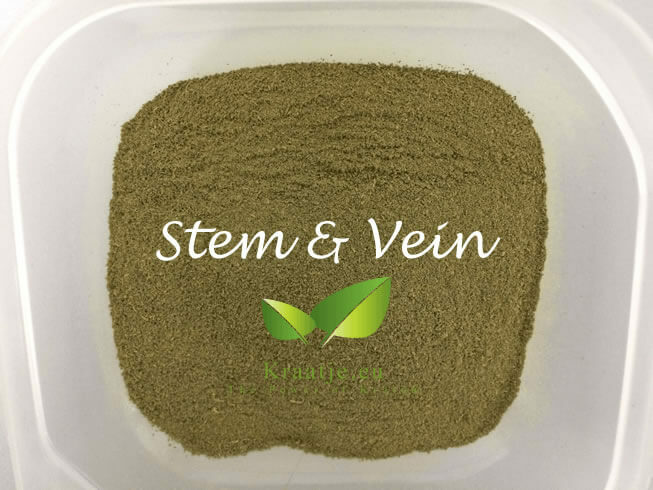 Stem and vein powders really shine when mixed with Kratom leaf powders. Resulting in a more complete, longer lasting effect, with a warm, fuzzy, relaxed feeling of sedation. It smooths out any over-stimulating strains. During the production of Kratom the stems and veins are removed. The most effective way to use kratom is to dissolve kratom. 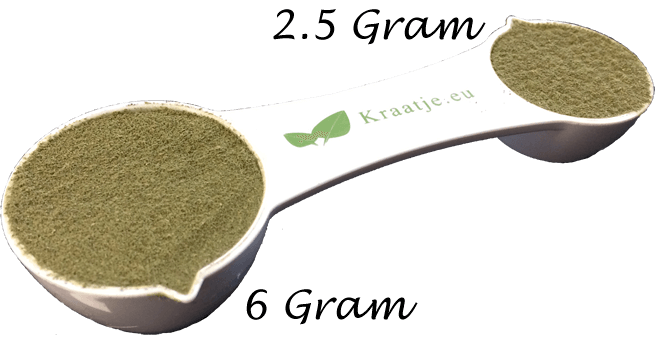 The Kraatje powders are very fine and therefore very suitable for kratom dissolving. 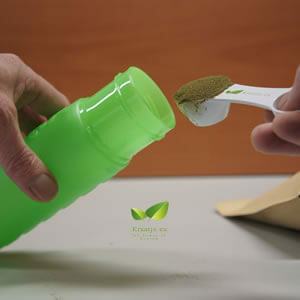 Combine your kratom dose with (hot) water or other (hot) drink and shake it in a water bottle. 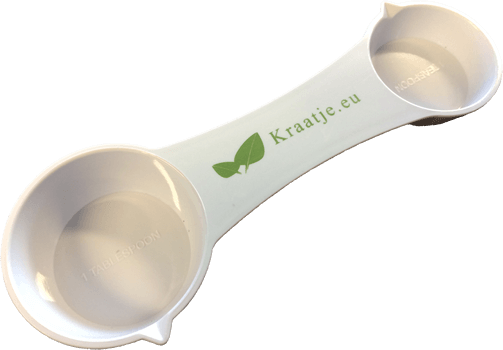 We offer you a nice sustainable solution for this: De Kraatje water bottle. Do you still use disposable water bottles? 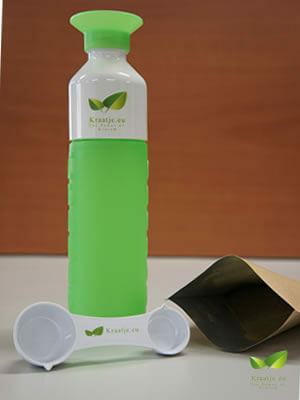 Use our practical sustainable water bottle. It is climate neutral, BPA free and fully recyclable. This way you help create a world without disposable plastic. In addition to handy and durable, this water bottle also has a beautiful design. The water bottle is suitable for the dishwasher up to 65 degrees. Of the turnover, 5% is spent by the supplier on charities in Nepal. The bottle consists of three parts. The lower part has a large filling opening to fill the bottle. When you remove the upper part you can drink directly from the bottle. When you take the top two parts together, you have a handy drinking cup. This has, in general, more stimulatory effects. 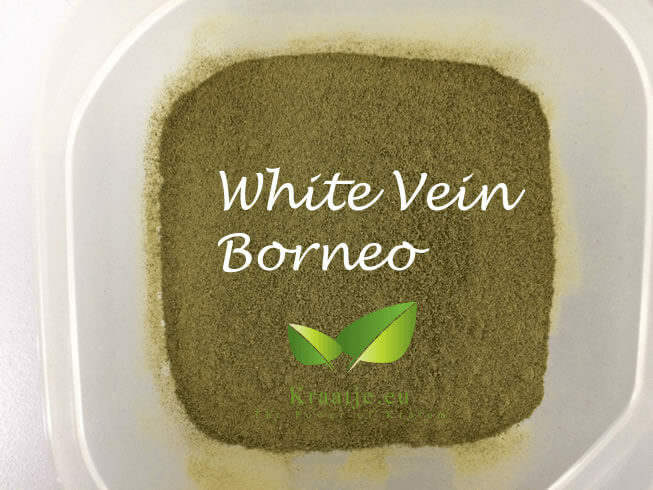 White vein Kratom gives extra endurance and is traditionally used for endurance during work and training. The white and red powders can be mixed to create your own variation. 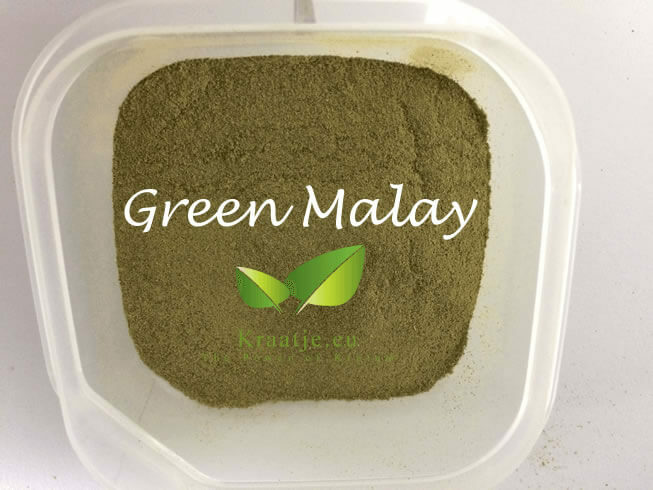 There are a number of Green Kratoms, our Malay Green (Green Malay) is a very special Kratom with a very specific Kratom experience. It is a mix of the white and red type. 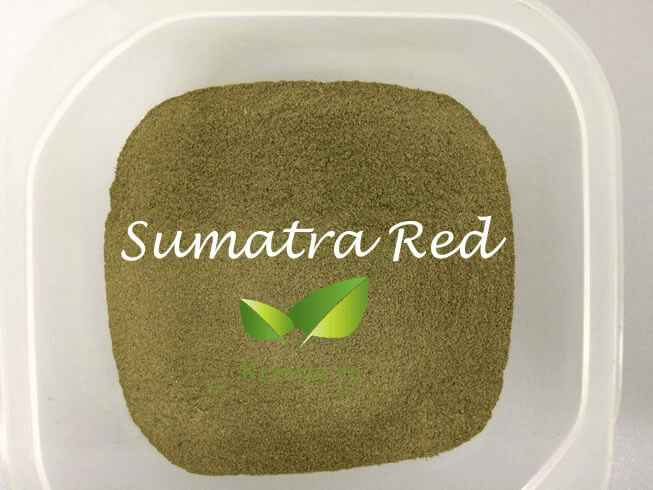 This species is extremely rare and we are one of the few that has this Kratom.